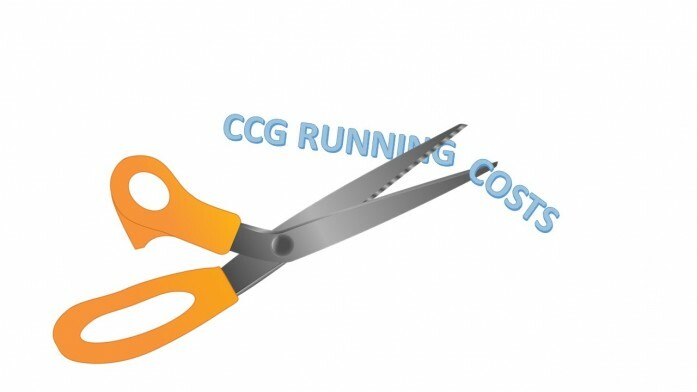 What does the cut in CCG running costs mean for general practice? It was announced last week that CCG running costs are to be cut by 20%. CCGs are being asked to do this by “exploring mergers and joint ways of working”. It all seems a long way from the days when CCGs were being set up. The argument then was about the “right” population size for a CCG. Small would allow a close relationship between the practices and enable clinically-led local change. Large would give CCGs a stronger voice, allow economies of scale, but risk creating distance to member practices. While the backdrop to that particular discussion was a huge cut in management funds for CCGs (as compared to their predecessor PCTs), this latest cut ends any remnants of the historical debate. CCGs will no longer be vehicles for local clinically-led change, as they take a more strategic role across a wider area. At the same time the system moves away from the commissioner provider split and towards integrated care systems. So whose responsibility is local clinically-led change in the emerging world? The size and role and funding of CCGs suggests it will no longer be their responsibility. In the realm of integrated care it is for local providers to work together to drive local change. Part of the drive for primary care networks is to have some form of infrastructure to enable this to happen at a local population level. Without them it is very hard to see anyone able to do this. But what we haven’t seen happen is the corresponding shift of any resource to primary care networks for this redesign work. If the redesign responsibility is being taken away from CCGs and primary care networks are expected to pick this up, then resource surely needs to follow. Maybe it will in future, but nothing has been announced so far. And in this in-between world where CCGs retain their statutory responsibilities but are increasingly starved of the resources to deliver them, then the change model seems to be shifting from one of co-design with local practices (that might actually work) to one of large scale schemes being universally implemented by CCGs across a large (and diverse) area, without any local tailoring. Not a recipe for success. In future the new strategic commissioners will (hopefully) outline the outcomes they would like to local providers, who will then come up with ideas for how to make this happen, and schemes will be developed with local ownership that are likely to work. But what is missing at present (apart from any sense of a bottom-up mindset) is the shift of resource to the local areas to do their part of this work. And so instead we drift further and further into a world of top-down imposed models that has been proven many times over not to work in the NHS. What are GPs to do? I would suggest three things. First, de-prioritise the investment of GP time into CCGs. If CCGs are no longer about clinically-led change for local areas, at a time when there is a real shortage of both GPs and GP leadership capacity, that time would be better focussed elsewhere. Second, resist calls to implement unachievable top down schemes, and argue for both the opportunity and the resource to develop locally-workable alternatives. Third, push for recurrent investment in primary care networks and at-scale general practice as an enabler of locally driven change for the system.